Washington, D.C. – Last Friday, January 11th, Representative Tulsi Gabbard (D-HI) announced her plans to run for president in 2020. During her announcement she stated that her platform will focus on “the issue of war and peace.” This statement should raise concerns to all Americans for several key reasons; Her support of Syrian President, Bashar Assad, history of Islamophobia, and worrying voting trends provide an overview of the kind of policy proposals she will undoubtedly support if she were to be elected. In 2017, she expressed skepticism over the allegations of Assad’s use of chemical weapons against his own people. Gabbard had also argued that the best way to defeat ISIS was to aligned the United States with the Assad regime, ignoring the plethora of damning evidence highlighting the usage of chemical weapons and even meeting personally with Assad. In addition to her coziness towards dictators, she has been criticized over her Islamophobic statements. In 2016, Representative Gabbard sided with Republican officials and embraced using the terminology “Islamic Extremists” claiming that “[T]his is something that I have disagreed with the president [Obama] on because I think it’s important that you identify your enemy, you know who they are, you call them by their name….” Statements like this do not address the real issue, it only shows a bigoted and discriminatory rhetoric isolating minority communities and targeting Muslims. In 2015, she sponsored House Resolution 435 which would have given precedent to Christian and Yazidi refugees over Sunni Muslims from Syria. As a Representative, there is a moral standard to uphold the dignity and values of all people, and this resolution was an attempt to abandon one of the world’s most vulnerable communities and put a religious test to who may enter the United States. These are not the values of a competent and capable president. Islamophobia and support for authoritarian regimes have no place in the United States government and Representative Gabbard’s actions indicate that she will not uphold religious tolerance and equality. 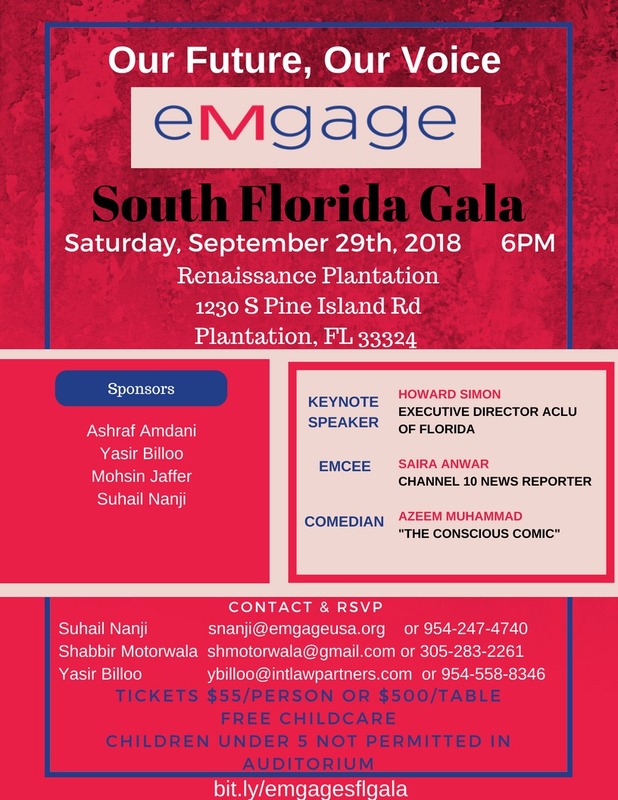 Emgage strongly denounces Gabbard’s bid for presidency and considering the current administration’s continued demonization of Muslim and immigrant communities, it is more important now more than ever to elect a candidate who will bring together the country, not a candidate who will isolate religious or minority communities. For more information, please contact: iawad@emgageaction.org.